Steven, CF-L1 Trainer, 2x Regional CrossFit Competitor (2014 & 2015), is an assistant director and co-owner of Crossfit IronSpider, B&S Sport Science LLC and B&S Fitness Programs LLC, the Chair of the Sport & Movement Science Department and the Health Education Concentration Coordinator at Salem State University. Brandi is currently the program director for B&S Fitness, over sees CrossFit IronSpider, B&S Sport Science and B&S Event Management. Is the Co-Author with husband Steven Dion of the book, The Pregnant Athlete, which is designed to inspire all pregnant athletes to continue on their healthy path as a mother. She has been coaching athletes of all ages, levels and abilities for over 20 years. Gianni is the current Assistant Head Coach and specialty coach for Olympic Weightlifting at CFIS and has been involved in the community for 5+ years now. 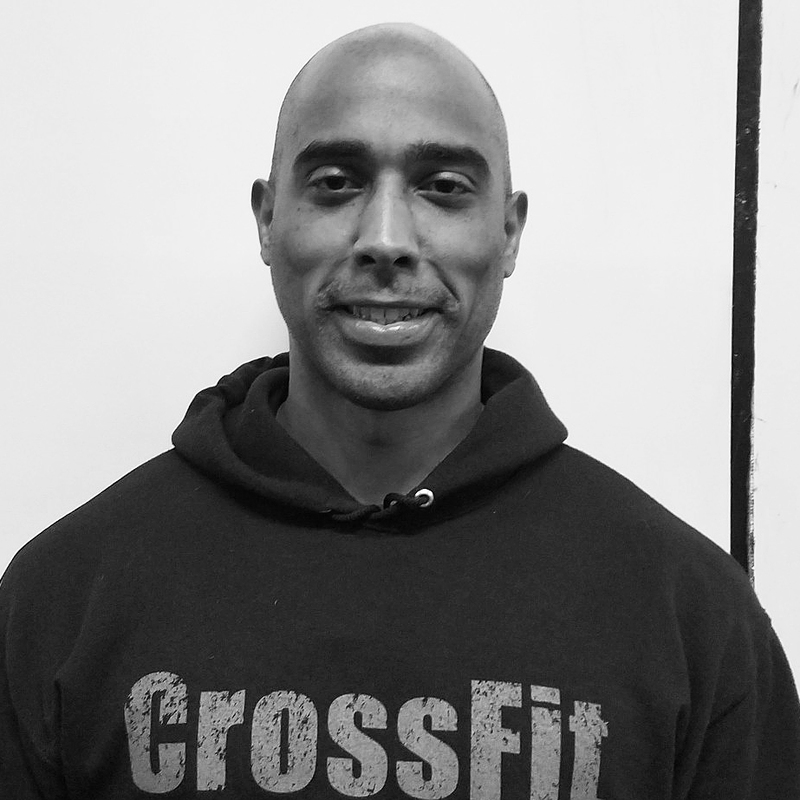 Being introduced to CrossFit has helped him to rediscover his lifelong passion for fitness. With an extensive athletic background ranging from Karate to Lacrosse, he has developed a physical and mental drive that benefits him not only in training, but in coaching others as well. Adrienne, mom of 2 amazing little girls, has been a part of the CFIS Community for 6+ years. Adrienne started CrossFit in April of 2012 after being convinced by her Personal Trainer that she would “love” it. He was right, she was instantly hooked and quickly grew obsessed with perfecting form and Olympic Lifting. Adrienne grew up on the stage as an incredibly disciplined and dedicated ballerina which is where her focus remained through her adolescence and teenage years. As she grew older she moved on to working out in globo gyms and completing personal training goals such as sprint triathlons… however Adrienne was always looking for the next challenge and that challenge was CrossFit. As the Specialty Coach, Adrienne, is here to provide coaching to members whether it be personal training, improving your Olympic Lifts, or putting together a meal plan, she is here to help. She also coaches an all women’s barbell class called Barbell Betty’s. This class is exclusive to women of all skill levels and provides a fun and supportive environment for women to come to and throw some weight around. Adrienne also worked out through her entire pregnancy with her 2nd child (March 2014-December 2014) so she is able to share her experience with staying fit while pregnant with women out there walking the same path. Matt has been an athlete as far back as he can remember. He played every sport imaginable growing up including soccer, basketball, baseball, lacrosse and hockey. After his college lacrosse career ended, Matt played in a number of recreational lacrosse and basketball leagues but life after college caught up to him and fitness took a back seat to his career in Healthcare IT. Slowly but surely Matt became more sedentary, which took a large toll on him both mentally and physically, changing his once "long and lean" frame into someone who was unrecognizable as an athlete in photos. That all changed in 2012 when his now-wife introduced him to Crossfit IronSpider. For the first few years Matt attended classes 4-5 days a week, which helped a lot, but his nutrition wasn't where it needed to be and his love of beer was still evident. But, just before his son's first birthday Matt decided a change was needed and his diet was the first thing to get addressed. After losing almost 50 lbs, Matt's love for Crossfit blossomed and he subsequently obtained his Level 1 training certificate and began coaching. Matt can be seen at CFIS daily, either working out with the 5am class, coaching the Endurance WODs, Community WODs or Olympic Lifting classes, and doing whatever he can to spread his love for IronSpider around the community. When he isn't at the gym, Matt enjoys spending time with his son Charlie and wife Alicia, dropping in at Crossfit boxes all over the country, and studying to achieve his Level 2 trainer's certificate. Amanda has been involved in athletics and fitness for her whole life, and loves sharing that passion with others. She enjoys helping both beginners and advanced athletes achieve their goals, and create new ones. Amanda’s favorite clients to help are simply people who genuinely want to improve, regardless of current skill level. Amanda also has a passion for pregnancy training whether it be pre-pregnancy, during or post pregnancy training. I have been an athlete my whole life. Competed in track and field and still play amateur baseball during the summer. I’m an avid martial arts fan and currently have a 2nd-degree black belt in Okinawan Karate. I enjoy pushing myself, finding my limits, and reaching past them. I fell in love with CrossFit the moment after completing my first WOD I knew at that time that I had found something special. I hope to use CrossFit and coaching to translate my love and passion for fitness. Casey graduated from Salem State in 2015 with a degree in Sport & Movement Science, and a concentration in Exercise Science. Casey was a 4 year college soccer player, and when she graduated she was introduced to CrossFit. She was apart of the amazing CrossFit IronSpider community for less than a year when she then went on to get her CF-L1. Working a full time position for an Orthotic and Prosthetic company, getting in the “box” to coach and help individuals reach their goals is an absolute passion for Casey. The elder statesman of the coaching staff, when he’s not working his “regular job” in finance, you can find Dave at the 5 am and 5:30 pm classes working out with his peer athletes. He also coaches some of our early morning classes with an emphasis on getting it right technically, and then you can start adding weight. It tends to be a family affair at times when Dave is coaching, his wife and daughter are in a boot camp class and even his son-in-law makes it to CFIS from time to time. Ned grew up playing soccer, basketball, lacrosse, tennis and paddle tennis for most of his youth. He learned to compete at home, trying to keep up with his older sister Emily who was clearly a better athlete. Ned eventually played lacrosse and tennis in college. While still actively participating in sports as his family moved from MA to TN and eventually back; Ned found CrossFit while teaching and was hooked by the fitness and hard working athletes around the “box.” Ned decided to take the CF L-1 class with 2 other CrossFit IronSpider athletes 3 years ago and has relished in coaching ever since. I enjoy watching athlete’s working hard and the support they provide one another during the various classes that CFIS offers. I focus on helping them work safely on form and technique as they work to achieve and accomplish their fitness goals.